From Mediaite: Fox’s Ed Henry walked out on a White House press briefing. Why? 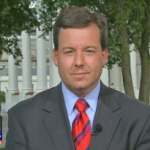 Reports Mediaite, “On the Kilmeade & Friends radio show Monday morning, Fox’s White House reporter Ed Henry explained his controversial ‘walk out’ of Friday’s White House press briefing. According to Henry, he did not leave out of anger, but because he had been overlooked twice and needed to run and make a live appearance for the network. ‘What happened Friday? It looked like you got fed up and said, ‘To heck with this,’ he’s not calling on you,’ host Brian Kilmeade asked. ‘Nah, that’s not it,’ Henry replied. ‘What really happened was that the briefing went on for about 40 minutes and I didn’t get a question. '” Read more here. From Gossip Cop: Macaulay Culkin made a rare public appearance on Friday? Where at New York Comic-Con. Reports Gossip Cop, “The notoriously private actor participated in a panel for the Adult Swim series ‘Robot Chicken,’ joined by Seth Green and Breckin Meyer. Culkin has voiced characters on the stop-motion show since its debut in 2005. It’s worth noting that Culkin’s appearance comesmore than a year after the National Enquirerpredicted the star would die in just six months from supposed drug use. That dire prediction was totally bogus. We can’t explain the animal ears, though.” Read the story and see pictures here. 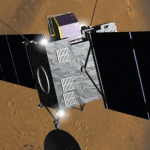 From Geekosystem: A ten-year space mission is coming to a close. Reports Geekosystem, “The ESA’s Rosetta spacecraft is boldly going where no man has gone before – into comet territory. After being placed in a space-coma for a whole decade, the Rosetta is finally scheduled to wake up and complete the task for which is was made, in just 100 days. Launched on March 2nd, 2004, the Rosetta has flown around Earth and Mars and a couple of asteroids, too, on the way to its’ final destination: comet 67P/Churyumov-Gerasimenko. But in July of 2011, Rosetta was put to sleep to undergo the longest and coldest part of its’ journey out towards Jupiter; and, on January 20th, 2014, it’s going to wake right back up.” Read more here. 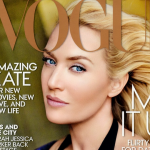 From Styleite: Is that Kate Winslet on the cover of Vogue? Writes Styleite, “Vogue US’ November 2013 cover girl is none other than the beautiful Kate Winslet. At least we think it is. It could also be Diane Kruger, Gwen Stefani, Candice Swanepoel, Meryl Streep’s long-lost sister or a generic model from any given hair advertisement. It’s disappointing that the Vogue team have been so heavy-handed with the airbrush tool considering Kate’s well-known stance on overly Photoshopped images. In 2003 she named and shamed British GQ for shaving off the majority of her thighs and causing one of the biggest Photoshop controversies of, you know, ever.” See the photo and decide for yourself here. From SportsGrid: How does Kevin Garnett live? SportsGrid answers, “When I imagine Kevin Garnett’s house, I think of two possible scenarios: 1) A fortress cathedral built into the side of a mountain, where his running water comes from thunderstorm runoff and his food is delivered to him, freshly killed, by his loyal servants, and 2) This place. You see, this place, which is listed for a mere $4.85 million (he originally bought it for $4.65 million in 2007), is secluded, enormous, and very zen. There are numerous fireplaces, custom finishes, a wine cellar and a “gym fit for a champion.” Indeed. Looking at the pictures, you can just imagine Garnett strolling around the 12-acre grounds, thinking of new ways to insult Carmelo Anthony raise his game. 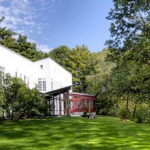 If you want to live on Howe’s Pond in Massachusetts and have this kind of cash, look no further” See photos of the house here. 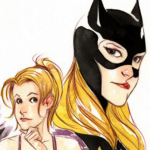 From The Mary Sue: Some very interesting news came out of New York Comic Con this past weekend,” writes The Mary Sue, continuing, “Particularly as it pertains to a few female comic book characters we love… To most everyones’ surprise, DC Comics’ Batman panel at NYCC revealed Stephanie Brown will be making her debut in the New 52 (unless you count that one time). I’ll give you a second. Ok, let’s proceed. According to a report from Comic Book Resources, a fan posed the frequently asked question, ‘When are Stephanie Brown or Cassandra Cain coming back?’ To which Batman writer Scott Snyder replied, ‘We know that they’re characters that you guys have been really vocal about…Your guys’ love of Stephanie Brown have been so inspiring to us. We’re really proud to announce that she’ll be coming back in [new weekly series ‘Batman: Eternal’], in a big way. Dan DiDio is in the audience to yell at us for telling you that.’” Read all about it here. From The Jane Dough: There are plenty of awesome women to admire, but today The Jane Dough focuses on five particularly… who happen to be fictional characters of the 90s. Writes xoJane’s Jen, “Real life isn’t as fun as fiction. This has always been true for me, if you couldn’t tell from some of my past articles. I expected myself to grow out of this at some point, but I really haven’t yet, and I think I’m past the age where I’m going to. I’ll give myself until 30, but considering I’m having a ‘Legends of the Hidden Temple’-themed 30th birthday party complete with a working set that my friends are already designing for March 2015, I’m gonna go out on a limb and say it’s not going to happen. My future children are going to tote ‘Double Dare’ lunchboxes to school, and I’m equally excited and embarrassed for them.” See the list here. 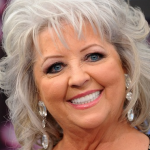 From The Braiser: Paula Deen continues to make headlines, tonight on E!’s True Hollywood Story. Writes The Braiser, “Will this Paula Deen E! True Hollywood Story tell us anything we don’t already know? Probably not. Will we still tune in to see how her hair has evolved over the years of her fame? Well, maybe. Deen and her camp are all set to tell the true story tonight on E! network, highlighting her late-bloomer career and obviously, the scandal that’s all anyone’s talked about since July. All the regular guest stars of Deen-gate will be there defending her good name: her son, Jamie Deen, her lawyers, her African-American reverend… but probably the best clip from this preview below is Anthony Bourdain sticking up for our Queen of Butter. ‘It was ugly to see the same people hugging her the day before tearing her to shreds in the street,’ said Bourdain, evidently in a tuxedo on the red carpet. Man, he must have been pissed that someone would pester him with Paula Deen questions on the red carpet. But given Bourdain’s surprisingly nuanced opinions on the case, we’ll have to see who else E! pimps out to defend and shield Deen’s good.” Read on here.